When news got out that Samsung was likely to scrap its familiar Home button from the front of its new Galaxy S8, I was very excited. Rumors and tech announcements dating back to last year talked of device makers implementing fingerprint reading technology into a screen, which sounded futuristic and awesome. Considering Samsung typically finds itself at the forefront of innovations such as this, it didn’t seem like a crazy idea to expect something similar out of South Korea. As time passed, though, we have learned that Samsung may instead place the fingerprint reader on the backside of the phone (not yet confirmed by Samsung), the same as we see on the Pixel devices, phones from LG and Huawei, plus many others. However, it appears Samsung isn’t content with doing what every other company is doing, and instead, is placing the fingerprint reader in the most ridiculous location they can to possibly help differentiate the Galaxy S8 from its competition. I mean, they don’t actually think this placement is intuitive, right? 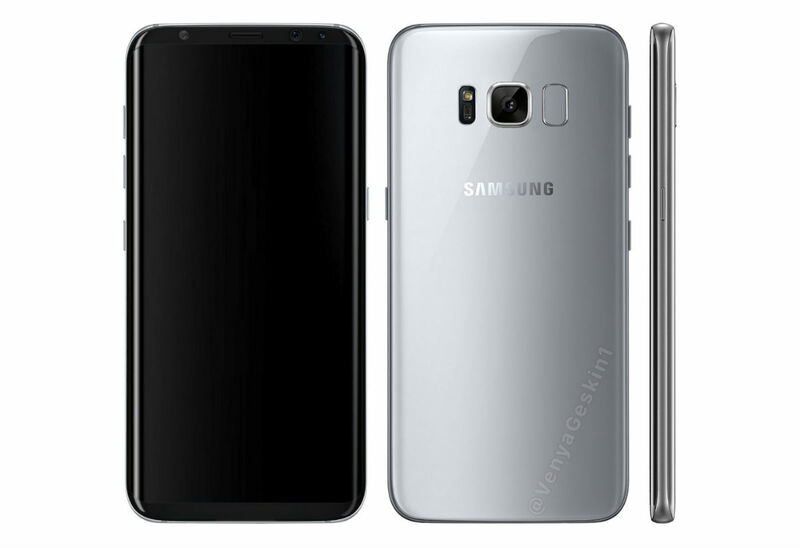 Thanks to leaked images and unofficial renders based on said images (seen below), it looks like Samsung could place the Galaxy S8’s fingerprint reader on the backside of the phone, but instead of placing it below the camera or at least in the middle of the backside (as we see on other devices), it would be installed directly next to the camera towards the top right corner. Now, why is this a bad thing? Well, the first obvious objection I have is the potential for the accidental placing of your dirty fingers on the camera’s glass covering. As you take the phone from your pocket and attempt to find the reader, you will likely swipe across your camera a few times, undoubtedly leaving streaks on the glass. It’s not like everyone is wearing white gloves as they handle their smartphone. You’re gonna be seeing Cheeto dust, grease, and whatever else is on your finger smudged directly on your camera. That is, unless you turn the phone around and are consistently aware of where your finger is going. In my mind, though, that will hardly ever be the case. On my Pixel XL, for example, I basically just feel around the device’s backside until I find the indentation for the fingerprint reader. Now that I have used the phone for months, it’s just second nature of where my index finger should go. I expect the same to happen on the Galaxy S8 over time with usage, but at least in the time I spent learning where my finger goes on the Pixel XL (or any other device that has similar placement), I don’t risk dirtying my camera with icky fingers. One could argue that the root of this problem is dirty hands. Wash your hands, people! Another potential issue concerns left-handed users. While I’m not left handed, I’m sure someone reading this might be, and this placement does not seem all that swell for you. 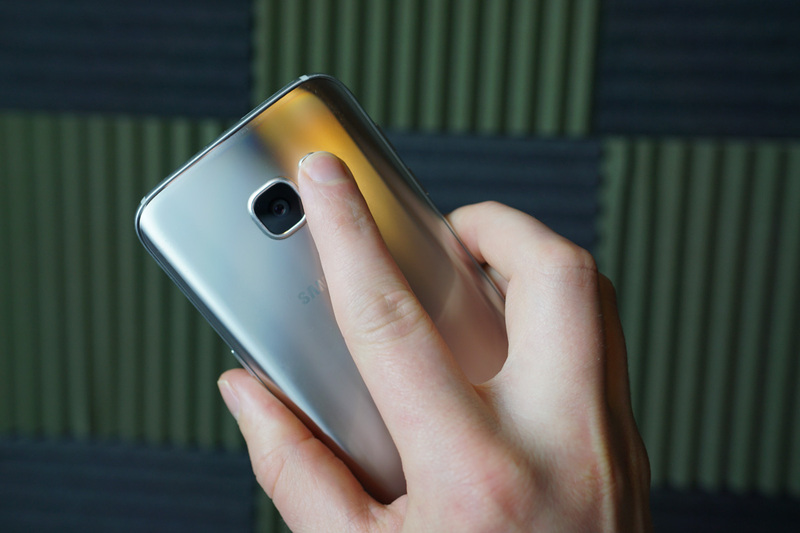 In an attempt to get a feel for what Samsung’s potential implementation might feel like, I lifted up a Galaxy S7 in my right hand, placing my index finger on the backside where the fingerprint reader is described to be. While this placement feels good, taking into account that the index finger has to travel across the width of the device to be placed directly on the reader, I then attempted it with my left hand. Because the index finger no longer goes across the phone and instead travels up and towards the thumb (towards the left), it almost felt like a strain to my finger. As if my finger doesn’t typically bend that way so it was slightly uncomfortable. That kinda feeling. It’d be the same sensation for right handed users if Samsung opted to place the reader on the left side and not the right side, but hey, thank goodness that right handed people are the vast majority of the world’s population. 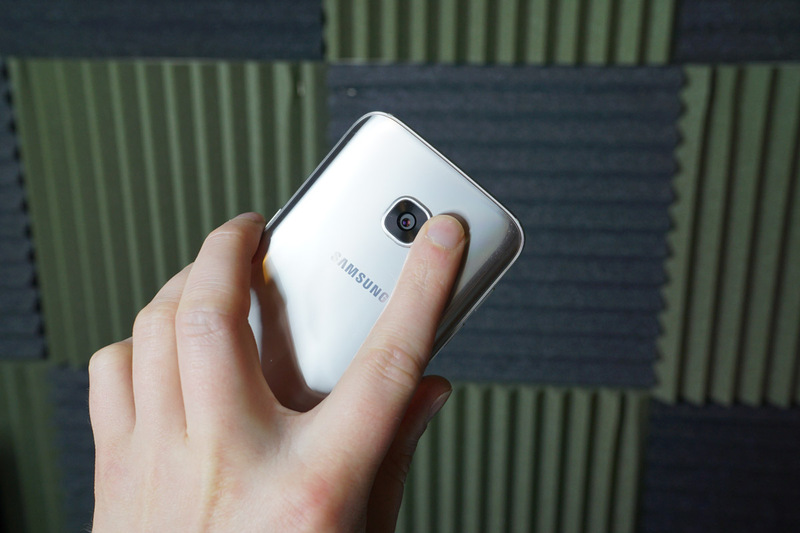 My point is, placing the fingerprint reader in the middle of the backside makes so much more sense. There’s no stretching of fingers required and it works the same for both righties and lefties. Nothing wrong with making a phone designed for everyone, right? In essence, a fingerprint reader placed in the middle takes the guessing work out of where your finger should go. As if a user was attempting to balance the phone on their index finger, it seems more natural for the fingerprint reader to go in the middle, instead of to a side or towards a top corner. It’s basic ergonomics in my mind. 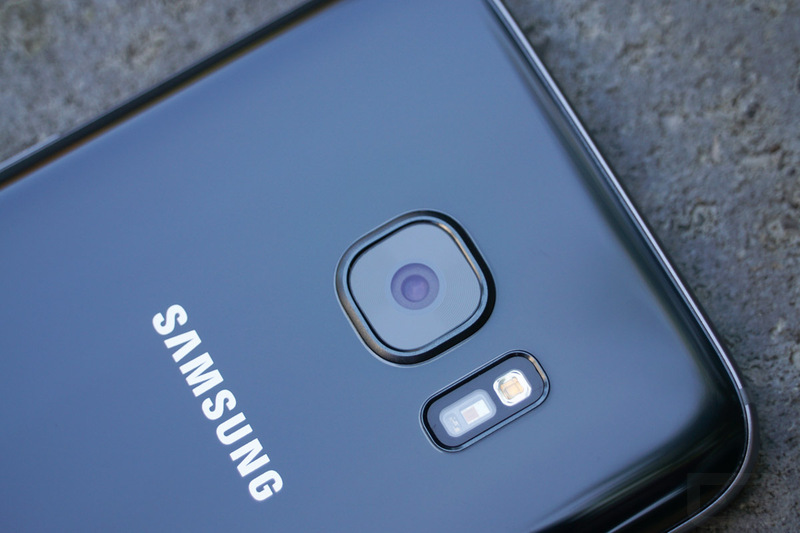 Thinking more about it, with Samsung also expected to include its heart rate monitor on the backside, maybe the company wanted to keep the design symmetrical, with a heart rate monitor and fingerprint reader flanking the camera. Of all people, I can appreciate that approach to design, but isn’t this taking it a bit far? Once and if Samsung makes this design for the Galaxy S8 official, we’ll be sure to reach out to the company’s design team and pick their brain about this placement of the fingerprint reader. 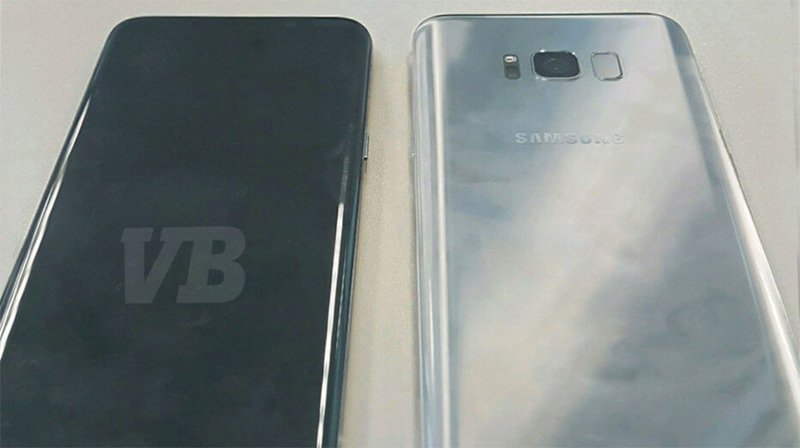 I’m dying to know their thoughts, if this is in fact what Samsung intends to release. Do you agree? Disagree? Let me know in the comments below, I’d be happy to argue with you.